US natural and organic products company Hain Celestial has agreed to acquire UK soup manufacturer Yorkshire Provender for an undisclosed sum. Yorkshire Provender is based in the UK and produces branded soups, which are sold in leading retailers, on-the-go food outlets and food service providers. The acquisition will allow Hain Celestial, which also operates in North America and India, to extend its portfolio of products in Europe. 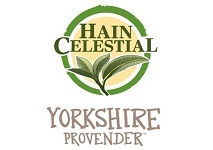 “Yorkshire Provender has a premium brand positioning that complements our New Covent Garden Soup Co. and Cully & Sully brands in the United Kingdom”, commented Irwin D Simon, founder, president and chief executive officer of Hain Celestial. Belinda Williams, co-founder of Yorkshire Provender, added: “This is a significant milestone for Yorkshire Provender and we look forward to working with the Hain Daniels team to continue our growth in new and exiting customers”.